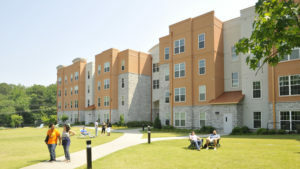 Life University offers on-campus living at The LIFE Village Retreat and The Commons. Each quarter, a limited number of spaces may become available due to the departure of graduating students. Place Properties Staff will help assign individuals into available spaces on a first-come, first-served basis. You may call the leasing office at 770.419.5554 to inquire about availability. To assist you in your off-campus housing search, we have also compiled a list of apartment complexes in the Marietta vicinity (available by request). The listings are for informational purposes only. The Office of Student Affairs will not be held liable for information posted, nor does The Office of Student Affairs promote or endorse any of the listings. Student Affairs, located in the Learning Resource Center near the Student Advocacy Desk, provides limited assistance in locating housing. A roommate listing is provided only to students accepted into Life University. To obtain the list, please contact Ms. Ginna Smith in the Office of Student Affairs at 770.426.2701. If you have any questions, please email the Housing and Residence Life office or contact us at 800.543.3661 or 770.426.2700. Best wishes in your search for your new home!